What are the biggest threats posed by the amount of food we waste? Decreasing landfill space? Hunger? Water and energy waste? Yes, all of these are important considerations. 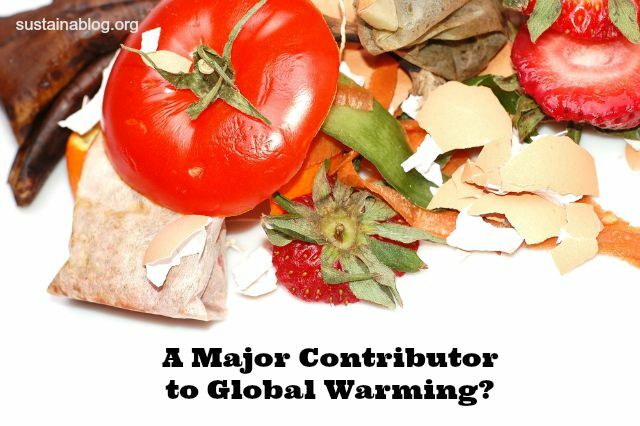 But another one we tend to overlook: food waste is a cause of global warming. The 40% of food that gets wasted from farm to plate creates 3.3 billion metric tonnes of greenhouse gases… and much of that is methane, which is much more potent than the more common carbon dioxide. In fact, if food waste were a country, it would be the world’s third largest emitter of greenhouse gases, behind the United States and China. But, according to Responding to Climate Change, the upcoming agreement on global warming due for discussion and signing in Paris this year doesn’t give food waste the attention it deserves. When we do think about this issue, we tend to focus on end users: consumers that over buy produce and let some of it go bad, or throw away leftovers from home and restaurants. This kind of waste does account for a third of food waste, but the rest happens during distribution. While we tend to focus on waste that occurs in the developed world, in part because of our desire for seasonal produce year-round, the developing world’s amount of waste is growing with their economies. China, for instance, still moves fresh produce around in open trucks, and thus experiences 40% waste in its $1 trillion grocery market. India faces similar issues with its banana crop: the country grows 28% of the world’s bananas, but exports only 0.3% because of waste along the supply chain. The typical Western response to any lack of food, regardless of cause, is to grow more of it. So, rather than addressing food waste, and the embedded waste of water, agricultural chemicals, and energy, we’re opening more land to cultivation. As much of that land is forest, including rainforests in tropical regions, we’re decreasing the planet’s ability to absorb carbon. Finally, our global food system means fresh foods are often transported thousands of miles to their final destination. Any food wasted along the way represents fossil fuels burned, and carbon emitted, without any subsequent feeding of people. And as climate change effects weather conditions that contribute to successful agriculture, our wasted food isn’t just contributing to current hunger, but to empty bellies in the future. Seem like an important enough issue for discussion at the Paris climate summit later this year? Yeah… Let us know your ideas for addressing food waste as a cause of global warming.